​We will help identify the best listings to do, how many to run with (based on your competition) and we will do them correctly! how many listings do I have compared to my competition? Your Business has the potential to be found ALL OVER the Internet .. through popular Directory Listing Sites. Getting Listed helps the person who is looking for your product or service actually track you down on the internet ... without having to work too hard. Thus, online directories are an essential and often literal LINK to your website and/or business - Some will profile your business with pictures, descriptions, and all will, at least, list contact information in order for that consumer prospect to be able to contact you! 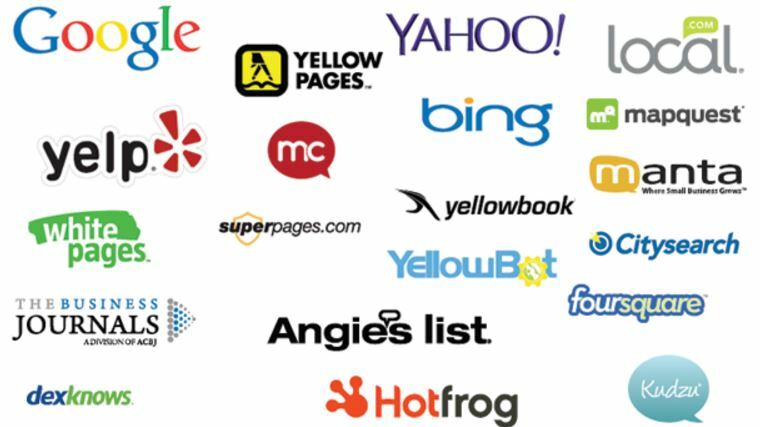 Getting listed is a Conversion Marketing LLC product offering we can help you with! This is an ala carte offering that does not require any other purchase. We can update or correct existing listings and add a listing where none exists. We have some ideas about where you might want to be seen - a strategic stance to how you might isolate the more critical, pertinent to your industry, geographically sensitive places to be seen that can have impact and give you traction in this online space! Fill out the adjacent form to see how "pretty you are sitting" listings wise at present and then consider getting a little more splashed all over the internet with a few more listings. This is an AFFORDABLE way to increase your exposure online! ARE YOU LISTED IN the viRTUAL PHONE BOOK?